This study used a qualitative paradigm to discover what types of training teachers have received that resulted in successful use of iPads and what factors affect their decisions to use iPads in their classrooms. Data for this study were 21 interviews with 21 in-service teachers. The findings showed that the majority of teachers did not have any formal iPad training. All reported they had to resort to different sources such as self-learning and colleagues’ support to learn about how to integrate iPads and useful apps into their teaching. There are many factors affecting their use of iPads in their classrooms. The study concluded with discussions and implications for school administrators and teachers. Vu, P. (2015). What Factors Affect Teachers Using the iPads in their Classroom?. Issues and Trends in Educational Technology, 3 (1),. University of Arizona Libraries. Retrieved April 25, 2019 from https://www.learntechlib.org/p/151630/. Creswell, J.W. (2003). Research design: Qualitative, quantitative, and mixed methods approaches (2nd ed). Thousand Oaks, CA: Sage Publications. Dupagne, M., & Krendl, K.A. (1992) Teachers’ attitudes toward computers: A review of the literature, Journal of Research on Computing in Education, 24, 420-429. Hew, K.F., & Brush, T. (2007). Integrating technology into K–12 teaching and learning: Current knowledge gaps and recommendations for future research. Educational Technology Research and Development, 55, 223–252. Jones, C.A. (2001). Tech support: Preparing teachers to use technology. Principal Leadership, 1(9), 35-39. McKenzie, J. (2001). How teachers learn technology best. From Now On, 10(6). Retrieved from http://www.fno.org/mar01/howlearn.html. Merriam, S.B. (1998). Qualitative research and case study applications in education. San Francisco: Jossey-Bass Publishers. NCES. 2000. Teacher’s tools for the 21st century. Washington, D.C.: U.S. Department of Education. Reynolds, C., & Morgan, B.A. (2001). Teachers’ perceptions of technology in-service: A case study. Society for Information Technology& Teacher Education, 2001(1), 982-986. United State Department of Education. (2005). Toward a new golden age in American education: How the Internet, the law and today’s students are revolutionizing expectations. Retrieved from http://www.ed.gov/technology/plan U.S. Congress, Office of Technology Assessment. (1988). Power on! New tools for teaching and learning. Washington, DC: U.S. Government Printing Office. Vu, P., McIntyre, J., & Cepero, J. (2014). Teachers' Use of the iPad in Classrooms and Their Attitudes toward Using It. Journal of Global Literacies, Technologies, and Emerging Pedagogies. 2(2), 58-74. Yildirim, S. (2000). Effects of an educational computing course on pre-service and in-service teachers: A discussion and analysis of attitudes and use. Journal of Research on Computing in Education, 32(4), 479-495. Zhao, Y., & Bryant, F.-L. (2006). Can teacher technology integration training alone 15 lead to high levels of technology integration? A qualitative look at teachers’ technology integration after state mandated technology training. 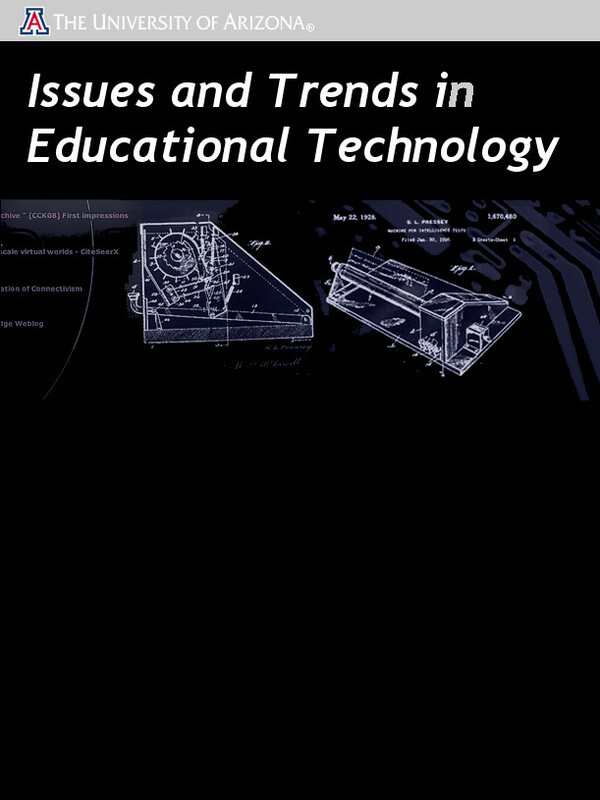 Electronic Journal for the Integration of Technology in Education, 5, 53-62. Zhao, Y., Pugh, K., Sheldon, S., & Byers, J. (2002). Conditions for classroom technology innovations. Teachers College Record, 104(3), 482–515.